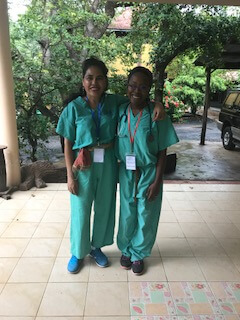 Recently, I had the amazing and incredible opportunity to do medical volunteer work for 2 weeks in Cambodia, as a part of the Medical Corps for HOPE Worldwide, an international non-profit organization. This Medical Corps was comprised of 35 medical professionals— nurses, doctors, nurse practitioners, midwives, physical therapists, and medical assistants from the U.S. and all over the world, working in partnership with a small team of Cambodian medical doctors, nurses, and medical students (who were translating for us), as we cared for over 1000 patients in the first week alone. 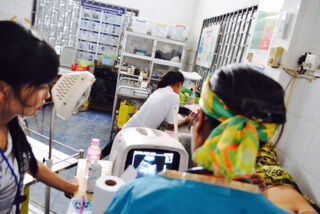 During the first week, we provided a free outpatient medical and surgical clinic at the Baray Referral Center, a rural center located 3 hours north of Phnom Penh. 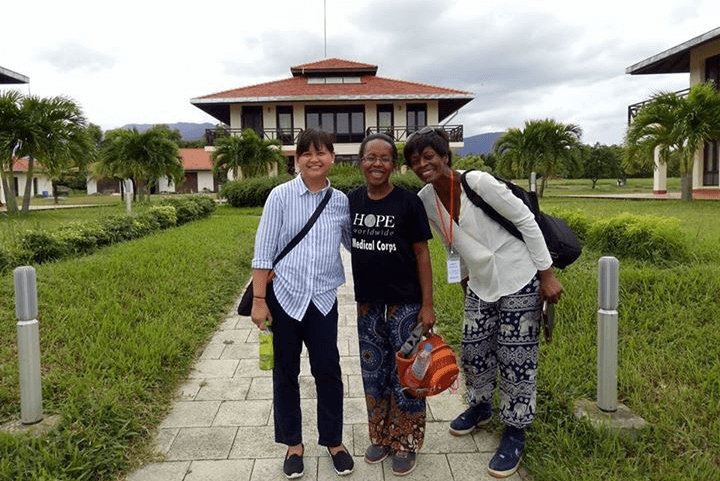 During the second week, our team visited and served at the Sihanouk Hospital Center of HOPE in Phnom Penh and the Sonja Kill Memorial Hospital in Kampot, Cambodia, both managed by HOPE Worldwide. Both of these hospitals provide free to low-cost medical and surgical care to their patients in these regions. 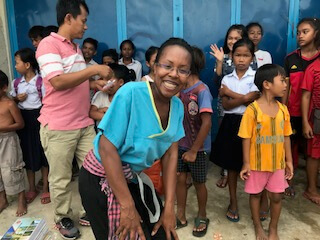 Additionally, we performed other service projects, including spending time in a community of HIV positive women and children in an extremely poor area of Phnom Penh. 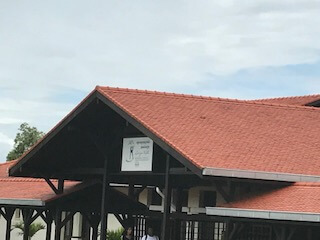 We encouraged the children with donations of backpacks, uniforms, and other school supplies and their families by providing many 50 lbs of donated rice bags and other food for these families. 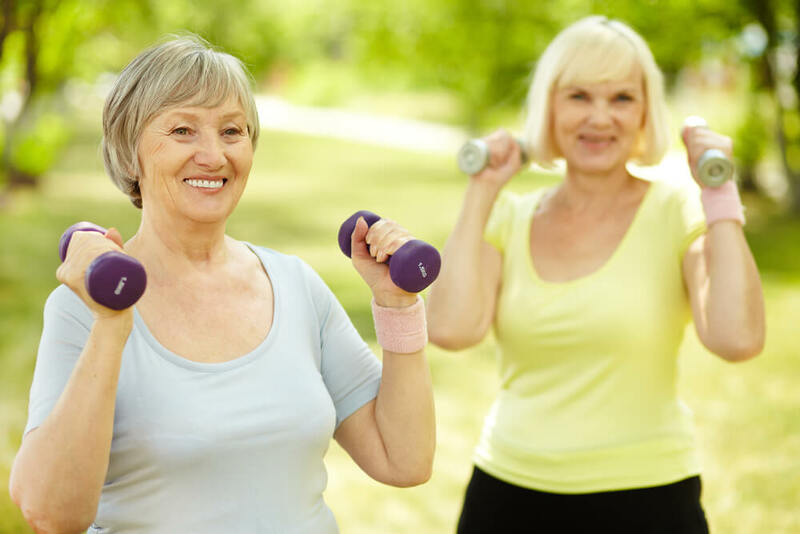 I saw the typical bread-and-butter of obstetrical and gynecological issues and concerns, however, compared to how I practice here in the US, I had limited resources and treatments. 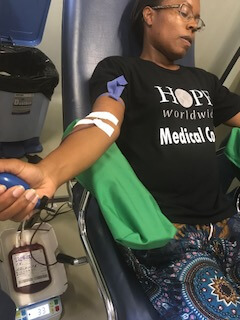 Even though I was seeing many more patients compared to a typical day in the U.S., I spent more time explaining diagnoses and emphasizing the importance of treating these concerns with the donations and the importance of follow-up. I saw many issues, similar to here in the U.S., including vaginitis, dysfunction uterine bleeding, contraception concerns, prenatal care, breast masses, and so much more. 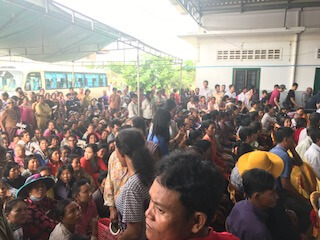 There was a sense of gratitude and kindness from the Cambodian women, which was truly amazing and touching—it reminded me of that passion of why I do what I do—it reminded me of why I enjoy women’s health and want to continue to help individual women and communities of women both in the US and internationally. 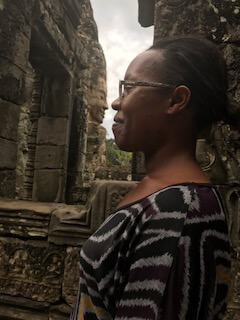 Of course, we had the weekends to enjoy some fun and learn about the Cambodian history and culture. 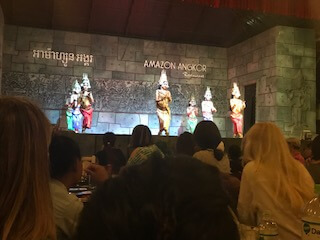 We visited Siem Riep (a touristy city 4-5 hours north of Phnom Penh), Angkor Wat (the famous Cambodian temple ruins- the largest religious monuments of the world), the Genocide Museum of Phnom Penh (from the unfortunate Khmer Rouge time period), and the sea town of Kampot (off of the southern coastal area of Cambodia). We also had 2 weeks of complete Cambodian cuisine (which I loved!). 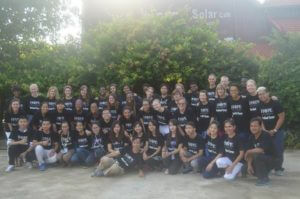 I am really grateful that I had this opportunity and would love to go back to Cambodia. 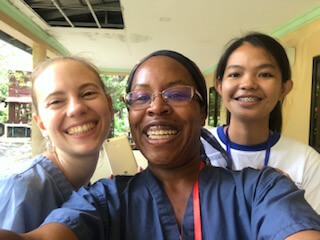 I have been able to serve in other areas abroad and I really enjoy these experiences to travel internationally and provide medical care abroad. It’s intense and a lot of hard work, but it’s very rewarding! Of course, now that I am back here in Salt Lake City with Rocky Mountain Women’s Health, I still have that same love and commitment to help women with their health and well-being. Previous post: Does Cranberry Juice Cure Urinary Tract Infections? Fun and Safe Trick-or-Treating at our Octo-BOO Fest!